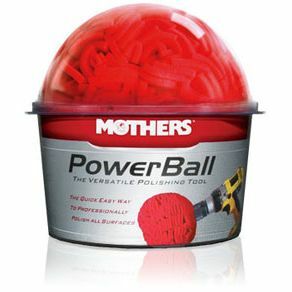 Minimum quantity for "MOTHERS POWERBALL POLISHING TOOL" is 1. ORIGINAL FOAM POLISHING TOOL. IDEAL FOR POLISHING ALMINIUM AND STAINLESS STEEL. ATTACH TO POWER DRILL.